At Northern Nevada Auto Wrecking we’ve done our best to offer an inventory management system that fits the needs of our customers and expedites the parts-picking process. Whether you are a mechanic that is looking for a specific part right then, a car enthusiast that always has their hands busy in one project or another, or would like to sell your vehicle to a wrecking yard in Northern Nevada, the staff at NNAWG is here to help. 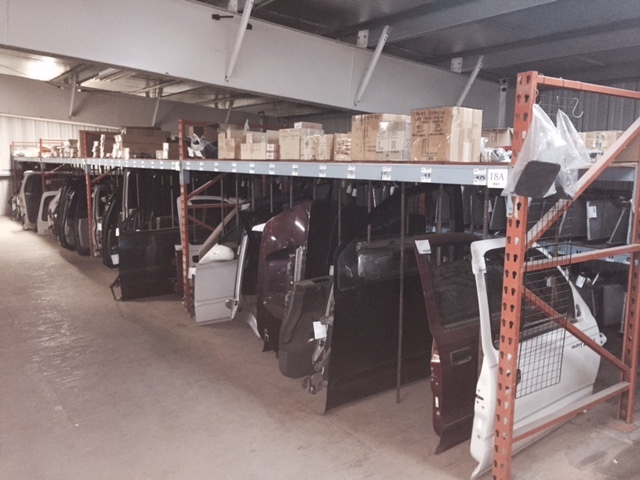 The best part of Northern Nevada Auto Wrecking Group is how easy our inventory is to access. We’ve all been to a yard where we’ve been given the “general direction” of where our part “might” be. If we do located the correct row and lot number, we still have to have the tools to remove said part from the vehicle. It’s very rare that our part was just lying on the ground, waiting to be chosen, but wouldn’t that be awesome? NNAWG thought so, too. So we made our business just that – separated, warrantied and organized, the parts offered from NNAWG are made to be found quickly, easily and are guaranteed to work. NNAWG offers a ton of resources for your benefit as well. With four different locations spanning the Reno-Sparks area, we offer the largest collection of vehicles and parts in Northern Nevada. We have worked hard to create a system that works for our customer’s benefit, but there may be instances where we don’t care the part. Don’t worry! We have a solution for that, too. At NNAWG we offer a variety of different kinds of cut sheets. If you are looking for a specific part and we don’t have it in stock at any of our four locations, fill one of these out! Leave the best possible number for us to reach you and we will contact you as soon as your part arrives at any one of our four locations. Cut sheets provide us with the information about the specific part you need. We will locate the part, cut to the specifications listed, and give you a call as soon as it’s done. NNAWG’s resources do not stop there. From cut sheets to warranty packages, trust us with big projects. We can walk you through the process of picking the correct part and will ensure your part’s functionality after purchase. Looking for more than just parts? NNAWG also offers salvaged vehicles. If you are in the market to buy or sell a salvaged car, give us a call. We know what it takes to get them registered, what the DMV will require and how to move forward with the purchasing or selling process.